East facades from Church Street. 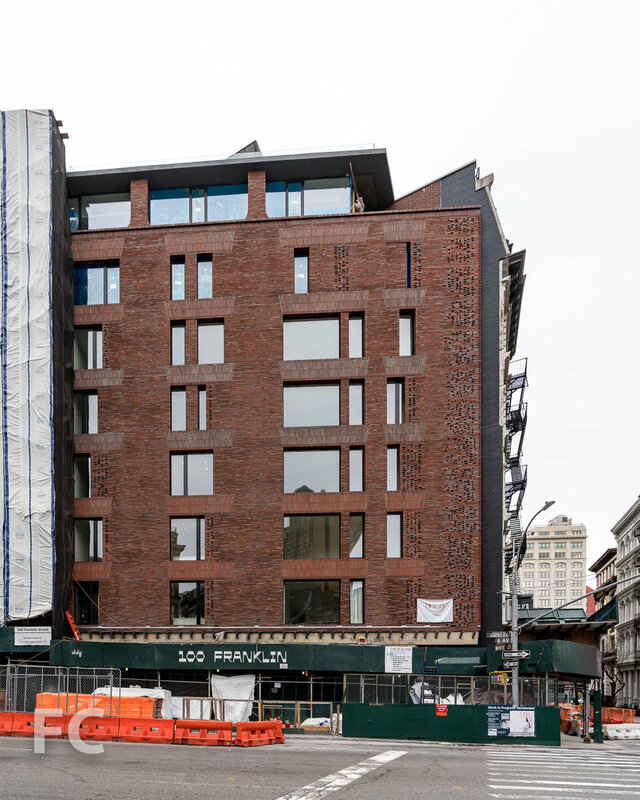 Construction scaffolding is coming down, revealing the brick facade at 100 Franklin, the two building residential condo development on a triangular shaped lot in Tribeca. 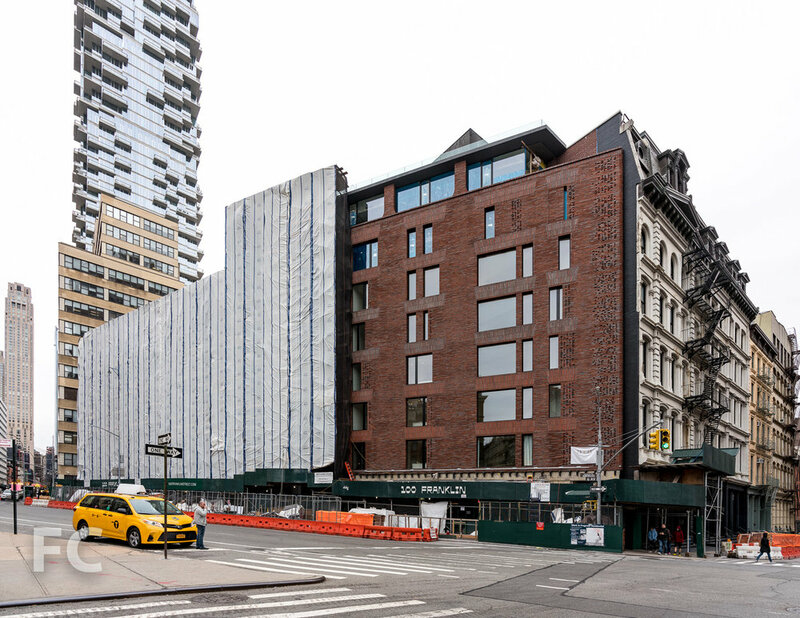 Developed and designed by DDG, the buildings will feature a red hand-laid brick facade in keeping with the neighborhood's pallete of materials. When completed later this year, the project will offer 10 residential condo units. 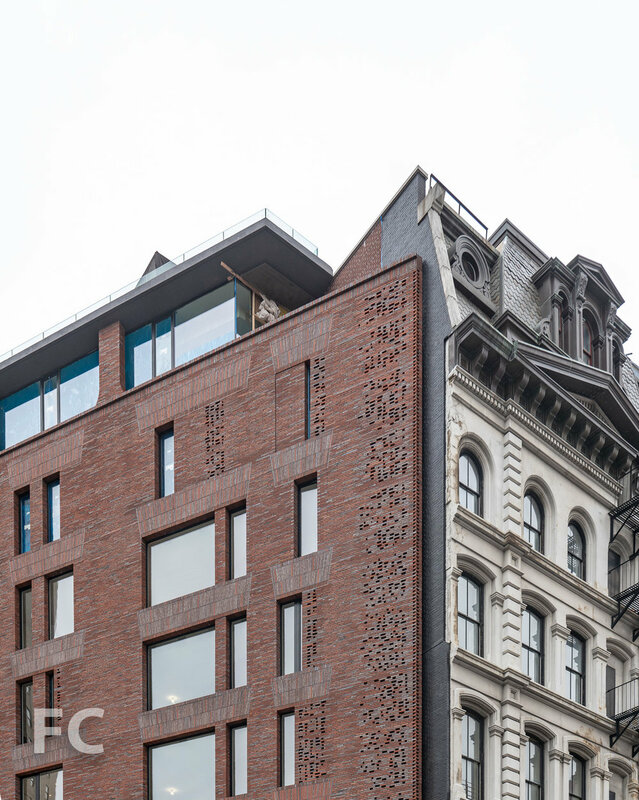 Architect/Developer: DDG; Program: Residential, Retail; Location: Tribeca, New York, NY; Completion: 2019.